Gypsies and Travellers from all over the UK will be holding a rally on Parliament Square on Saturday 21st May to challenge new housing and planning laws that both redefine our ethnic identity and that seek to deny us a culturally appropriate home, and to make a stand for Gypsy and Traveller pride and empowerment and against racism and prejudice. The rally, called ‘Dosta, Grinta, Enough!’*, will begin at 12 noon in Parliament Square, concluding with four organizers handing in a signed petition with over 5000 signatures into Downing street at 4pm. The petition, created by the march organizers and hosted by 38 degrees, protests against new planning laws that are being introduced that redefine “gypsy status” to only classify those of us who ‘travel’ for work purposes, removing any cultural or ethnic dimension. 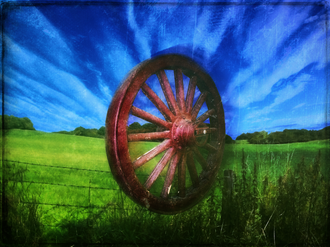 The new laws will also effectively end the slow but steady increase in private Traveller site developments in the face of a dire national shortage of pitches for Gypsies and Travellers. This demonstration is lead and organized by Gypsy and Travellers with support from many of the Gypsy and Traveller NGO’s, who say they will also be sending delegates to the rally. “These new laws will will limit the development of new Gypsy and Traveller sites and potentially threaten those of us living on existing public or private legal Traveller sites”. “Many of us will be forced back into the road either because we will be made homeless, or in order to ‘prove’ our ethnic identity and heritage to retain our homes”. For more information and travel details, you can check the rally’s facebook page. A campaign is growing to challenge the change in planning regulations which changes the planning definition of Traveller to those who have a nomadic habit of life. Those who have permanently ceased to travel, to get their children educated, due to old age and ill-health, will lose the right to be considered as travellers. ACERT encourages its members to sign the online petition and attend the national demonstration on 21st May 2016. The petition was launched after a meeting between HertsGATE, The Gypsy Council, The Gypsy Roma Traveller Police Association and former UK Association of Gypsy Women campaigner Shay Clipson at the Traveller Movement office on the Holloway Road in London. Last year, the Planning Officers Society (POS) raised concerns over the government’s plan in its response to the consultation on the proposals, warning the move could have unintended consequences. Rosemarie McCarthy, Chair of ACERT, has written to Ms Joanna Pallett, Head of Vulnerable Groups at Cambridgeshire County Council to make her aware of the serious impact of proposed cuts to Traveller Education provision. The service had already been cut back in 2010. She wrote: “… these services have a crucial role in identifying and promoting ways of raising educational aspirations and attainment. Working alongside other staff, including home-school officers and school staff, they support increased parental involvement, help improve secondary transfer and reduce drop out rates, raise teacher and pupil expectations, break down barriers and encourage schools to provide a culturally relevant and affirming curriculum. ” Considerable numbers of Roma have arrived in the county in recent years and there is no evidence of a decline in the population of other Gypsy and Traveller groups. If anything, additional rather than reduced support is needed to support the achievement and inclusion in schools of these vulnerable and marginalised groups. We know that Cambridgeshire is facing huge reductions to its budget but it seems misguided that that the council is even considering any reduction in the very resources and personnel who have the most expertise, knowledge and experience to help in this period of acute social transition. The cut will affect a high number of children across very many schools, including a growing number of Roma families who have experienced social exclusion in the countries from which the have come and are vulnerable to racism and prejudice in the UK. Families living on unauthorised and temporary camps, children who are excluded or drop-out of education are likely to have their human right to education undermined. ACERT do not believe there has been adequate consultation with parents and families on the potentially adverse impact on their children’s education. The expertise built up over the years by the staff of this service is in danger of being lost, and once lost it cannot be replaced. Evidence from across the country tells us that schools do not have the knowledge skills or capacity to fill the gap, whatever the government claims, and as a result, once again, Gypsy, Roma and Traveller children lose out. The Community Empowerment Network has asked ACERT to publicise their services amongst the Travelling communities. We’d be happy to receive feedback from any ACERT members who use this service. 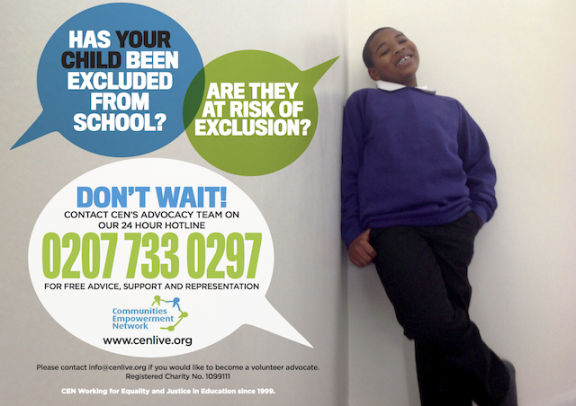 Other information of ACERT’s exclusions campaign.